We’d love your help. Let us know what’s wrong with this preview of Vietnam by Max Hastings. Vietnam became the Western world’s most divisive modern conflict, precipitating a battlefield humiliation for France in 1954, then a vastly greater one for the United States in 1975. Max H From the best-selling author of All Hell Let Loose comes a masterful chronicle of one of the most devastating international conflicts of the 20th century and how its people were affected. To ask other readers questions about Vietnam, please sign up. Has anyone who served in the war read this book? What do you think of it? This is a book I have been waiting for a long time. This is the Battle Cry of Freedom of the Vietnam War. A beautifully and pungently written single volume history that valiantly attempts the impossible task of capturing and clarifying this multilayered military, political, and human catastrophe. The Vietnam War (encompassing the First Indochina War, between the French and Vietminh, and the Second Indochina War, pitting the U.S. and South Vietnam against the North Vietnamese and Vietcong) is a historical subject I have mostly avoided. First, like World War I, it is an imposingly complex subject. Adding to the complexity is the westerner’s difficulty in pronouncing the proper nouns – both people and locations – that are required to understand the story. Finally, and most importantly, Vietnam does not feel like settled history. It is still firmly implanted in living memory. I was born after the wars of Vietnam had concluded, but I grew up surrounded by people who had experienced parts of it firsthand. We are still collectively sorting out what it all meant. The war is still controversial and still being refought. Max Hastings has convinced me that now is the time to start learning more about these tumultuous decades, which cost millions of lives and damaged many millions more; that dramatically reordered one society, and shattered another; that killed one president (Diem), destroyed another (Johnson), and tarnished a third (Nixon); that cost untold billions of dollars in military spending and economic aid; and that nearly squandered the trust that Americans have for government. In Inferno, Hastings showed a magical touch for boiling down a titanic struggle, delivering perhaps the best one-volume history of World War II. He exceeds that triumph with Vietnam: An Epic Tragedy. While smaller in terms of numbers involved and casualties incurred, the Vietnam War is far more fraught and tangled, a moral gray zone as vast as the jungles of Southeast Asia. After that, he begins his story proper in 1945, with the French (who had been thrashed by the Germans, collaborated with the Germans, and who had fired on American troops in North Africa) being allowed to retain their colony in Indochina. (One of the terrible ifs of the Vietnam War is what might have happened if the anti-colonialist Roosevelt had not died). Vietnam ends in 1975, with the fall of Saigon to the North Vietnamese. This thirty-year interval is crammed with a library’s worth of incidents. The Vietnam War defies an easy presentation. There is no linear progression of events to follow. This is not World War II, for instance, where it is easy to track the ebb and tide of fortune by tracing territory that is lost and recaptured, decisive battles that are lost or won. The Vietnam War was fluid and ever-changing, with no front lines, no clear demarcation between friend and foe, with few large battles, and certainly no decisive ones. (An American advisor once compared the Vietnam War to an NFL game in which one team is dressed as the spectators and periodically hides the ball and runs up into the stands). With this level of narrative difficulty, Hastings’s major accomplishment is in his structure and framework, his ability to take this massive and multifaceted tale and pare it down to something that is not only comprehensible, but also a joy to read. Overall he employs a straightforward chronology, coverings events as they appear along the timeline. Though this is not a military history by any means, but he does provide set-piece reconstructions of some of the major engagements, including Dien Bien Phu, Hue, and Dai Do. Hastings also periodically employs a thematic method of approach. There is a chapter solely dedicated to Rolling Thunder, for instance, which allows him to focus on one facet of the war without distraction. Hastings also breaks his chapters down into smaller subsections, and he devotes many of those subsections to discussions on specific topics, such as the role of helicopters, the danger of booby traps, and a comparative analysis of the relative merits of the AK-47 versus the M-16. Through this all, he pays close attention to the relationship between parties. While covering the obvious strain between the U.S. and South Vietnam, he also recognizes the strife between the North Vietnamese and their guerilla allies in the south. He is also conscious that the terminology of the war can be unfamiliar and often shifts over time. Thus, when the Vietminh (devoted to throwing out the French) transformed into the Vietcong (dedicated to throwing out the Americans), Hastings is sure to let you know. Hastings is also incredibly successful in using individual stories as representative samples from which to extrapolate larger meaning. Throughout Vietnam, he continues to return to a discrete number of characters who we follow throughout the book. (A dramatis personae would have been helpful in this regard). This provides a lens that is at once wide-angled and intimate, that gives you the vast swath of experiences while also reminding you that history is not the recounting of dates and occurrences but a big story made up of countless smaller human dramas. To that end, Hastings utilizes a variety of voices: C.I.A. spooks and U.S. grunts; NVA infantrymen, VC guerillas, and communist cadres; and, of course, there are the peasants caught between impossible and opposing forces. You meet Dang Thuy Tram, a young revolutionary, the daughter of a Hanoi surgeon, whose diary was found when she was killed by an American patrol in 1970. You also meet Doug Ramsey, who spent seven years as a prisoner-of-war in unimaginable conditions. (I don’t know exactly why, but I am absolutely tickled at the idea of Max Hastings, the tough old foreign correspondent, sitting down to watch Groundhog Day). Vietnam was an incredibly divisive conflict, but Hastings does an admirable job maintaining his neutrality. To be sure, he often repeats conservative/hawkish complaints (that the brutality of North Vietnam’s Stalinist regime is ignored; that antiwar protestors were hopelessly naïve; that the American press didn't tell the full story), but his overall position is that of skeptic. He is constantly questioning everyone and everything. Indeed, he seems to model himself after The Quiet American’s cynical Fowler. His scathing tongue knows no political party, and he unleashes a variety of slashing attacks on Richard Nixon and Henry Kissinger that reminded me of the Velociraptors from Jurassic Park. And despite his handwringing about soldiers smoking marijuana and college students hanging North Vietnamese flags, his overall conclusion is that the American effort in Vietnam was doomed. In his view, no amount of military success could have changed the fact that South Vietnam was corrupt, tainted, and hopelessly disconnected from her citizens. The struggle over the meaning of Vietnam has only just begin. We are, after all, still grappling with the American Civil War, which ended over 150 years ago. To his credit, Hastings does not attempt to draw any pat lessons. He understands that the answer to Vietnam will not be found in John Wayne’s blatantly propagandistic The Green Berets, and it will not be found in Jane Fonda’s reprehensible decision to sit on an NVA antiaircraft gun. The answer is not even in the middle, equidistant between two poles. When I watched Ken Burns' recent documentary on the war a few months ago, I remember, among other things, how he described the moral groundwork and the thought processes of both sides, as flawed as they were. Hastings' single-volume history of the Vietnam War does no such thing. He describes the war from the French period to the fall of Saigon with a tone of anger and moral indignation. See the repeated use of the words, in his own terms and in quotations, of "loss", "cost", "cruel", "waste", "futile", "callous", "ignorant", "vicious", "destructive". He does not spare the brutal and incompetent American leadership and the South Vietnamese government, but neither does he refrain from detailing the viciousness of the North Vietnamese leadership, especially towards the civilian population. Some of this is not new. There are no doubt hundreds of books which indict the failures of United States policy in the war, with a majority view claiming American effectiveness in the military theatre while proving utterly hapless in 'nation-building'. The sheer destructiveness of the war cast it out of all proportion to any goals of anti-communism or further societal or diplomatic objectives. This is frankly a familiar topic and I'm not sure what else I could do by summarizing it. But Hastings provides detail from the individual level to the presidential briefings and describes the total demoralization of the US army in some places by 1971. The South Vietnamese government, again, fares little better. He finds that while some soldiers intermittently fought well to defend their homes, he sees the government as a shaky house of cards, distant and isolated from the people they claimed to represent, and hopelessly corrupt. Even so, this does not mean that the North Vietnamese government are "the good guys" by default. He finds their government a Leninist dictatorship prone to acts of cruelty on a large scale. This meant mass purges and executions, forced conscription, and repeated suicidal attacks against entrenched positions - and a media control so pervasive that casualty lists were concealed and the losses and failed attacks made to disappear. Hồ Chí Minh is portrayed by Hastings as a cold and calculating ruler - when he was invalided due to a series of illnesses, Lê Duẩn emerges as the chief autocrat since the mid-1960s. Hastings finds grips from other members of the Politburo griping about his strategy. Võ Nguyên Giáp, by contrast, is a "brilliant" military leader, again impervious to his own losses, yet was often sidelined by the backbenchers who wanted a share of the glory. And for all that political leadership and promises of revolution, hundreds of thousands of people had fled as refugees between 1976 and 1996, and Hastings is sure to tell their stories too. Surely not all of them were 'reactionaries'? As an overview of the disaster that overtook Vietnam over the thirty year period after the end of the Second World War, Max Hastings has admirably succeeded in laying bare the reasons for failure, first of the French colonial forces and then of the U.S. backed South Vietnamese government. Writing with an impartial eye, and helped by the testimonies of hundreds of the participants, the wars and political manoeuvring are described in sufficient detail to give an overview of events and the experienc As an overview of the disaster that overtook Vietnam over the thirty year period after the end of the Second World War, Max Hastings has admirably succeeded in laying bare the reasons for failure, first of the French colonial forces and then of the U.S. backed South Vietnamese government. Writing with an impartial eye, and helped by the testimonies of hundreds of the participants, the wars and political manoeuvring are described in sufficient detail to give an overview of events and the experience of the French, American, ANZAC and Vietnamese (both North and South) participants while the elements in the escalation of the war and their effects are also covered. An extensive bibliography will allow for any holes in the specifics of the story to be filled. American Howard Simpson watched exuberant parachutists tearing down a Saigon street in a jeep which crushed and scattered a row of bamboo panniers, filled with red peppers laid out to drain the sun. After the vehicle passed, two old women set to work painstakingly to collect the debris and salvage what they could of their ravaged wares. Here was a minuscule event amid a vast tragedy, yet Simpson asked himself, how could it fail to influence the hears and minds of its victims, those two elderly street sellers? Kudos to my friend Matt for reviewing this book on here and thus peaking my interest. I am not very well-read in history (or anything else) and have read maybe 3 or 4 books on the Vietnam War and own perhaps a dozen more. Most of these are books about different major or minor battles, memoirs, books about specific divisions, e.g., the tunnel rats, etc. I had no overview of the war setting aside an old version of Stanley Karnow's Vietnam, a book I could never get into. The great aspect of Sir Max Kudos to my friend Matt for reviewing this book on here and thus peaking my interest. I am not very well-read in history (or anything else) and have read maybe 3 or 4 books on the Vietnam War and own perhaps a dozen more. Most of these are books about different major or minor battles, memoirs, books about specific divisions, e.g., the tunnel rats, etc. I had no overview of the war setting aside an old version of Stanley Karnow's Vietnam, a book I could never get into. 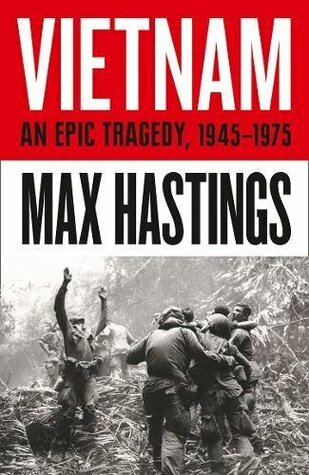 The great aspect of Sir Max Hasting's new book on Vietnam is that it is an almost complete history of the war era, beginning with the French, humiliated in WW II, trying to recapture some of their old glory by reasserting themselves in this distant colony where they had given the people culture and taught them to read Racine, in return for extracting a great deal of natural resources the country had to offer, along with the labor of the people. Some historians have said that the lessons of history are never learned. Vietnam was ruled by various Chinese Dynasties, beginning around the early first Millennium, finally evicting their Chinese overlords. They successfully repulsed the Mongol Hordes on three separate occasions in the 13th Century. The fact they repulsed the Mongols three times might have given the French pause before they sent their priests in to convert the Viets from their Mahayana Buddhism and ancestor worship to the "true" faith, a conversion process which began when French traders first came to Vietnam in the 17th Century and evolved over a span of several hundred years into the French asserting increasing control until they ruled all of Vietnam by 1884. Their dominion there was not without its troubles and there were constant portents of uprisings, along with actual uprisings against the French encroachment. Sir Max doesn't go into much detail about the country's history before the French returned in force in 1945 to reassert themselves over their lost colony. The French have made many blunders throughout their long history but this attempt to dominate Vietnam, where a rebel movement had begun stirring in the early 1940s--i.e., the Viet Minh, a communist group of reprobates with the effrontery to wish to run their country by themselves using whatever ideology they pleased, may have been their worst mistake since Napoleon invaded Russia. The French might have been wise to let well-enough alone, but in their hubris they attempted to subdue the communist malefactors. France, with aid from British and Japanese, stemmed the initial Viet Minh rebellion-- but this control proved tenuous and in 1946 a guerilla war broke out, resulting in a 9-year battle in which the Viet Minh, aided with weapons and money by Russia and China, outfought and outmaneuvered the French, who suffered a particularly ignominious defeat in 1954 at the Battle of Dien Ben Phu (excuse my lack of diacritical marks). At this point, the French finally realized that perhaps they were not going to win this war and talks were held at Geneva where it was agreed the French would cease fighting in Vietnam and that elections would be held in a couple of years to determine the political fate of the nation. Not everyone in Vietnam supported the communist party and a 300-day grace period was given where people from north and south could migrate wherever they saw fit. About a million Viets fled south to escape living under communist rule. Meanwhile, the Americans were watching this attempt to subdue the commies quite closely. This was the Cold War era, and those of you that lived through it know that democratic nations around the world quaked in fear of world communist takeover. There was also the notion of "the domino effect," where it was assumed that if Vietnam "fell," all of SE Asia would quickly follow suit and become part of the communist hegemony slowly engulfing the "free" world. Previous to WW II, the French had wrested control of what they called "French Indochina," including Vietnam, Laos and Cambodia. Sir Max does an excellent job of limning the paranoia of the time prevalent in the US and Russia. Of course, some of this paranoia was a byproduct of past events, but much was overkill. One thing Sir Max's book taught me was that it takes a lot of reading of a great many books to arrive at some idea of the "truth" of historical events. In other history books, for example, I had read that President Eisenhower had been approached to have the US intervene to aid the French and had dismissed this notion unceremoniously. Sir Max's account show a President far more hawkish and anxious to intervene militarily but restrained only by the caution of his close advisors and lack of congressional support. He does send a fair amount of Americans to Vietnam to act in "advising" (read: spying) roles. Ostensibly, these "advisers" were there to shore up the S. Vietnamese army and to instruct the self-appointed President Ngo Dinh Diem who had been appointed Prime Minister and usurped the Presidency where he proved an unpopular and ineffectual leader. Meanwhile, more "advisers" streamed in so that by the time of President Kennedy's assassination there were over 60,000 Americans in Vietnam. Diem fell out of favor with his US handlers and was himself assassinated in a military coup shortly before President Kennedy's death. And on and on it goes, as Sir Max tells how the US rigged the now infamous Gulf of Tonkin affair to gain popular support to enter a full-scale war--a war that saw increasingly more American youth being conscripted into service and a great many American casualties (58,000 known by the end of the fighting. Not to mention the estimated millions of Vietnamese citizens and Viet Cong and NVA soldiers who were routinely outgunned by the superior weaponry and air power of the US and lost an estimated ten men to every one American casualty. And Sir Max drives home the point that Americans in power saw a war with Vietnam as a lost cause, a war that would be a guerilla war, which Americans were not especially skilled in fighting, and which would probably be a long war of attrition that we would probably lose. Not all American advisors felt that loss was inevitable but most felt that we would need to become more involved in helping South Vietnam since we had emerged as the "leaders of the Free World" after WW II. Another common theme running through his book is that, as with the wars in Iraq and Afghanistan to come, the US never had a plan for a strong leader in Vietnam who could rally the people behind a common cause. The war seemed to have become a matter of honor, and Sir Max notes that some historians are now coming round to the notion that though the war was a horrible debacle, it was necessary for the US to fight it to make a stand against the communists. Sir Max is not a "value-free," just the facts sort of historian and the journalist in him often comes out as he makes clear that Ho Chi Minh was not the avuncular "Uncle Ho" now depicted and revered by young Vietnamese who have been indoctrinated. Rather, Ho is depicted as a ruthless revolutionary in the tradition of China's Chairman Mao, a leader who perpetrated many atrocities upon his countrymen and had an "end justifies the means" mentality. Also noted are the many changes that took place among US soldiers and the American people as the war progressed and more lives were lost with seemingly no end in sight. 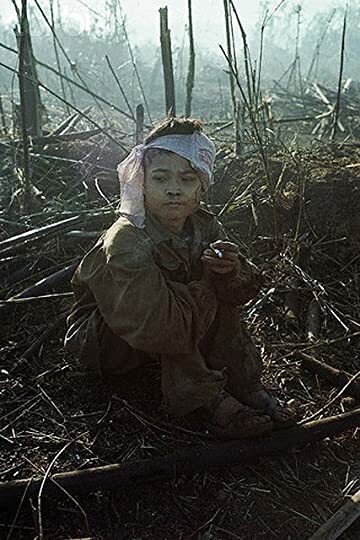 Likewise, he recounts the malaise felt by the average Vietnamese peasant, who just longed for peace, and the fractiousness the war caused among the Vietnamese people, a people not united ideologically but definitely of one mind in wishing the American invaders to to go home. The gung-ho attitudes of the early US soldiers gave way by 1970 to many US soldiers using drugs, particularly heroin, "fragging" (killing) their superior officers if they deemed them to be incompetent, and refusal to engage in fighting or go on senseless patrols became far more commonplace as American society turned against the war in huge numbers and US fighting men often followed suit. The venality of Henry Kissinger and Richard Nixon in continuing the war for political gain is disdainfully noted, as is the illicit bombing in Laos and Cambodia authorized by the diabolical duo. The history continues to the bitter end with the final assault by the NVA on Saigon in 1975 and the communist takeover of the nation, with imprisonment for ARVN (S. Vietnamese Army) officers for long periods in "reeducation camps." Sir Max also touches on US prisoners of war and describes some of the gruesome conditions they lived under in captivity. At long last, we have a title for my favorite historian's next book, and it's about Vietnam :) . Looking forward to read this. A careful, well-researched,and fast-paced overview of the war. The narrative is balanced, straightforward, and very readable, and Hastings does a great job capturing the tragedy of the war and the North and South Vietnamese experiences; there weren’t a lot of “good guys” the way he tells it. He ably covers how American morale deteriorated over time and the kinds of successes and failures the Americans experienced, and Hastings does a particularly good job covering and humanizing the communist sid A careful, well-researched,and fast-paced overview of the war. The narrative is balanced, straightforward, and very readable, and Hastings does a great job capturing the tragedy of the war and the North and South Vietnamese experiences; there weren’t a lot of “good guys” the way he tells it. He ably covers how American morale deteriorated over time and the kinds of successes and failures the Americans experienced, and Hastings does a particularly good job covering and humanizing the communist side, describing the history of their terror tactics, how effectively they could adapt to America’s supposed technological superiority, and ramming home how determined they were to achieve victory. He also describes how the lack of press access made it easy for people to ignore North Vietnamese atrocities. Ho Chi Minh is covered well, and Hastings argues that Le Duan was more important and had a more direct impact. His coverage of Nixon is particularly scathing, and his portrait of Johnson doesn’t have the sympathy a lot of historians bring to it; Hastings criticizes Johnson for not engaging the public in a debate over Vietnam policy and for not preparing them for what was ahead. His coverage of Kissinger is surprisingly mild. The narrative is rich, well-written and insightful, and does a great job integrating many different perspectives while keeping the story moving along. However, the book sometimes seems to focus more on the soldiers than on the higher-ups. The book’s scope obviously means not everything can be covered in as much detail as some may prefer; the Phoenix Program, the communists' logistics system, Americans’ various advisory efforts in the ARVN, the inner workings of the NVA, the Pentagon Papers affair, and economic issues, for example. The narrative can also get a little choppy at times (the inclusion of personal accounts often feels a little disjointed), and can transition abruptly. Also, the coverage of the North Vietnamese leadership feels a bit simplistic, and some other aspects of the war he covers come off the same way (cowardly ARVN soldiers, incompetent South Vietnamese officials, etc.) Hastings doesn’t really engage the historiography of the war much. And at one point he writes that Australia started national military service because of the war (they did?) The writing has some untranslated French here and there. There is also little on the war’s impact and legacy. At one point Dale Buis and Chester Ovnand are called "Dale Ruis" and "Chester Overnand." This book was pretty explicitly written to capitalize on the mania around Ken Burns' "Vietnam" documentary, which I still haven't seen. I think I should probably check it out. What I wanted out of this book was an understanding of American chicanery and manipulation of public sentiment to prosecute this war that we never should have been involved with in the first place, and I'm not sure I got that. Not because it doesn't mention it--it does--but because it is weighed down by the myriad anecdote This book was pretty explicitly written to capitalize on the mania around Ken Burns' "Vietnam" documentary, which I still haven't seen. I think I should probably check it out. What I wanted out of this book was an understanding of American chicanery and manipulation of public sentiment to prosecute this war that we never should have been involved with in the first place, and I'm not sure I got that. Not because it doesn't mention it--it does--but because it is weighed down by the myriad anecdotes of skirmishes, interpersonal dynamics, and day-by-day clashes that are of historical note but not something I am particularly interested in. One thing that struck me was that after My Lai, 69% of Americans excused the massacre, saying something like "We can expect these things to happen in war." The author, a Brit and certainly no American apologist, notes that the character of a civilization cannot be judged based on whether its soldiers commit atrocities, but by whether the populace countenances them in retrospect. Regardless of whether you credit that metric, the United States fails abjectly by either assessment. This is an amazing book and likely the definitive one volume history of the Vietnam War. Max Hastings is perhaps the most accomplished historian of warfare working today and he has done fine work here. There has been much good work on Vietnam recently, which is a little surprising given the attention given to WW1 and WW2 not to mention recent Iraq and Afghanistan books. That is OK with me. I remember when LBJ sent ground troops in and guys my age had to address the draft. I was finishing college This is an amazing book and likely the definitive one volume history of the Vietnam War. Max Hastings is perhaps the most accomplished historian of warfare working today and he has done fine work here. There has been much good work on Vietnam recently, which is a little surprising given the attention given to WW1 and WW2 not to mention recent Iraq and Afghanistan books. That is OK with me. I remember when LBJ sent ground troops in and guys my age had to address the draft. I was finishing college when the fall of Saigon came and I do not believe I have followed any conflict as closely in real time. Understanding the war, of course, was another matter, and it never ceases to amaze me how the meaning of the war continues to percolate and morph into something new with each new book, article, or film. What does Hastings bring to the table? Start with his choice of time frame. Now the Vietnam war did not begin in 1964 or with Johnson or Kennedy. It’s a 30 years war that began on the heels of the Japanese defeat in 1945 and lasted until 1975. Actually, its effects lasted much longer.and continue, with the war influencing the doctrine and practice of the US military up until the first Gulf War and afterwards, when its lessons such as on counterinsurgency needed to be relearned. So the Vietnam war fits squarely into the larger arc of the 20th century, where a larger 30 years world war (s) persisted up through the fall of Communism and the exit of Soviet Bloc troops from Germany. What about the book, itself? To be honest, it was clearly written in the context of the recent and excellent Ken Burns miniseries on the war and this book is a broader and more detailed storyline for the war. I will not recommend skipping the book and watching the Burns miniseries, but I could see someone doing that. There are so many stories and subplots in the history of the war - and so much good work about it - that it is best to me to suggest where the Hastings book makes particularly memorable contributions to the story. The story of the French war and France’s exit is effective. I enjoyed the discussion of Dienbienphu and thought the discussion of the Geneva Conference informative. The details of the partition details are alluded to frequently and the book is good and discussing the settlement and all of its limitations. The book also handles the handoff between France and the US well. This transition up through Kennedy is under appreciated and Hastings is effective in reviewing it. The details of the war after 1964 are more familiar but Hastings is thorough and does a very effective job in discussing the war after the TET offensive and under Nixon/Kissinger as well as after the Paris Accords up through the final collapse. I thought that Hastings was effective in moving between levels of analysis, often from individuals and tactical situations up to high command and more global perspectives. He makes good use of the memoirs from all sides that have come to light in recent years. In this way, he can show for example how a campaign, such as the 1968 TET offensive was seen by all sides in the conflict - US, NVN, SVN, Vietcong, allies, etc. I also enjoyed how the book dealt with issues of policy and grand strategy - what the different sides thought they were trying to accomplish versus how current goals and objectives translated into specific military strategies and situations. Hastings is exceptional in adding to this a normative dimension to actively consider the moral stance of the actors across the history of the conflict. Given the huge ideological history of the war, coupled with recent efforts at revisionism, dealing with the moral dimension of action in the war also requires Hastings to attempt to achieve some balance in sorting out the positive and negatives associated with the positions of all the parties. As might be expected, sorting out the moral legacy of Nixon and Kissinger in bringing the war to a close and the troops home requires more than a little nuance by Hastings. There is really far too much going on in the book to summarize much further and there are lots and lots of fact is, dates, names, and citations. Hastings also provides his own judgements and this helps to make some sense out of what could have been a too complex narrative to use for a coherent history. He uses his opportunities to judge well. In Vietnam: An Epic Tragedy, 1945–1975, Max Hastings chronicles conflict in the country from the end of World War II until South Vietnam fell to the communists. He lays out how America viewed Vietnam as a military problem to be solved, when the concerns were primarily political and social, and that the United States acted with hubris by not involving the Vietnamese in decisions that affected their own country. Additionally, he believes that the communists have been unfairly seen as being in the right in the conflict. Because the Northern Vietnamese so tightly controlled the media and public opinion, though, the world was not privy to the atrocities they committed which were similar to those committed on the other side, and he doesn’t let either side off easily. The book is primarily structured chronologically, though some chapters are thematic. It is full of anecdotes from soldiers, often grunts, NCOs, or low ranking officers, providing a very intimate account of the war. At times, it reminded me a bit of Mark Bowden’s Hué 1968 writ large. Hastings draws from interviews as well as primary and secondary source material, and it seems the research is comprehensive. In all the other Vietnam War books I’ve read, I’ve not seen any discussion of the Russian or Chinese advisers to the NVA. Hastings includes accounts from Russians who were assigned to assist surface-to-air missile teams and Chinese engineers sent to help repair bridges destroyed in bombings. Truly, just for those sections, I was glad to have read the book because it was a perspective I’ve seen nowhere else. True to his mission of including both sides, Hastings also offers insight from Vietcong and NVA soldiers. One female doctor was killed while carrying a journal, and he quotes frequently from it. He also includes poetry and songs. Additionally, Hastings includes a chapter on the M-16 versus the AK-47 and offers insight into why an inferior gun was rushed to the field without proper testing. He also devotes attention to Australian and New Zealand troops as well as the domestic opposition to their deployment. Because the book is focused on what happened in country, less details are included about the political wrangling in Washington DC, although the basic outline of Presidential commitment, from Truman to Nixon, is delineated. On the Northern Vietnamese side, he reveals how Le Duan eclipsed Ho Chi Min as a power broker in the politburo and recounts personal details about Le Duan I’d not read about before. Given the nature of the subject matter, I understand why the book is so lengthy, but I do still wonder if it could have been cut a bit since there was some repetition. Additionally, at times, the organization was a bit chaotic, with Hastings moving from topic-to-topic within a section or even a single paragraph. I also thought at times, his language was a little flippant or silly, for example when he wrote, “streetwise—or rather, paddywise.” I did like the maps, which were crisp, clear, and easy to understand. The included photos were useful, though in this case, I’d like to have more rather than less. Overall, this was a very interesting book and offered new material in a very crowded genre. I wouldn’t recommend it as the first or only book to read on the Vietnam War, but maybe the second or third! An ambitious, thorough, and thus a little fast-paced survey of the (many and long) war years in Vietnam. Hastings keeps the focus tight -- there's relatively little on the American or (especially) French home fronts, very little geopolitics (Nixon-to-China gets part of a subchapter; the Sino-Soviet split less than that, and Hastings announces in advance that events in Thailand, Laos, and Cambodia are beyond his scope) -- which makes sense, because even with that narrow focus this is a doorstoppe An ambitious, thorough, and thus a little fast-paced survey of the (many and long) war years in Vietnam. Hastings keeps the focus tight -- there's relatively little on the American or (especially) French home fronts, very little geopolitics (Nixon-to-China gets part of a subchapter; the Sino-Soviet split less than that, and Hastings announces in advance that events in Thailand, Laos, and Cambodia are beyond his scope) -- which makes sense, because even with that narrow focus this is a doorstopper of a book. A detailed look at the Vietnam tragedy by author Max Hastings. Hastings effort is not simply a rehash of the American war effort but an attempt to look at all of the forces that converged, like a perfect storm, on Vietnam, causing death and misery, for the Vietnamese people. He begins with Ho Chi Minh, and takes us through the post World War II French reassertion of colonial rights in Vietnam. The French colonial regime was a precursor to the American effort many years later, suffering the same A detailed look at the Vietnam tragedy by author Max Hastings. Hastings effort is not simply a rehash of the American war effort but an attempt to look at all of the forces that converged, like a perfect storm, on Vietnam, causing death and misery, for the Vietnamese people. He begins with Ho Chi Minh, and takes us through the post World War II French reassertion of colonial rights in Vietnam. The French colonial regime was a precursor to the American effort many years later, suffering the same hubris, arrogance and stupidity that led to the failure of both. Hastings determination to show how this situation evolved, and how American administrations dating back to Harry Truman simply made error after error, is necessary to a full understanding of how the United States ended up with the disaster that was the war in Vietnam. The last line in this book really sums it up. Quoting Walt Boomer, Marine Corps General, Vietnam veteran as well as veteran of Desert Shield and Desert Storm, about Vietnam, "What was it all about? It bothers me that we didn't learn a lot. If we had, we would not have invaded Iraq" (Hastings, p. 752). Max Hastings subtitles this book, An Epic Tragedy, 1945-1975. In it he details why it was so tragic. This is the most objective book about the Vietnam conflict that I have read. The author points o The last line in this book really sums it up. Quoting Walt Boomer, Marine Corps General, Vietnam veteran as well as veteran of Desert Shield and Desert Storm, about Vietnam, "What was it all about? It bothers me that we didn't learn a lot. If we had, we would not have invaded Iraq" (Hastings, p. 752). Max Hastings subtitles this book, An Epic Tragedy, 1945-1975. In it he details why it was so tragic. This is the most objective book about the Vietnam conflict that I have read. The author points out the faults and atrocities committed by all parties. The violent suppression and revenge by the North on South Vietnamese military, government and social leaders is detailed. Mr. Hastings details how and why the American people were lied to by military and political leaders. A lot of information from the Nixon tapes is used in this book. American policy and actions never really matched and strategy suffered. In the absence of strategy tactics suffered. The result was a lot of death and destruction. In his afterward the author write, "The war cost the United States $150 billion, much less than Iraq two generations later. Yet the true price was paid not in mere money, nor even in the fifty-eight thousand lost American lives...The true price was in the trauma that it inflicted (Hastings p. 745). I don't think we have recovered yet! I recommend this book to all who are interested in the Vietnam war. I enjoyed this history very much. I've read other histories by Max Hastings and so expected this one to be comprehensive, analytical, full of insight, and wise. It is. This is narrative history, the story or events. His style is to combine the historical record of events with close snapshots of personal experiences, both those directly involved and those responsible for the planning and circumstances. But aside from the narrative, Hasting's brilliance is that he, better than most, has the ability I enjoyed this history very much. I've read other histories by Max Hastings and so expected this one to be comprehensive, analytical, full of insight, and wise. It is. This is narrative history, the story or events. His style is to combine the historical record of events with close snapshots of personal experiences, both those directly involved and those responsible for the planning and circumstances. But aside from the narrative, Hasting's brilliance is that he, better than most, has the ability to decode the meaning of events, the overarching history and takeaways from it in a couple of pages. These are the great kernels of insight and combinations of kernels making this one of the most balanced analyses of the war I've read. His perceptions approach the level of wisdom and is particularly acute in assessments of U. S. motivations and communist political vision. He seems to see everything clearly, from our our decisions to enter the war until our decisions to not intervene in North Vietnam's final offensive 10 years later. The ability of Hastings to make clear in a few paragraphs a complex subject others have devoted pages and even chapters to and yet still muddled, makes his achievement even more remarkable. He explains that victory was never a given for either side, and much of what he tells across 752 pages are variations of this uncertainty. It's not a military history that details the maneuvering of battalions so much as a history of decisions. And their impact. Obviously many pages are spent on such pivotal moments as 1954's Dienbienphu or 1968's Tet Offensive, or even events more shadowed, like the North Vietnamese cleansing Hue of its intellectual class. These are familiar topics. But Hastings has written of well-known, well-traveled events and made them engaging and new. It's in his telling of each phase or step of his long history that he best displays his skill at moving from the broad overview of, say, strategic planning down to individual experience. He describes and analyzes it deeply at the same time. Understanding that history is the interpretation of events directed by personalities, he includes the personal perceptions of those involved, and of both sides. As I say, a familiar story. I've read quite a lot of the war's history and yet still came across subjects which are neglected in other writings. Aware that media coverage and the antiwar dissent were largely responsible for negatively impacting the morale of our units in the field, I found fascinating Hastings's rather thorough discussion of the topic. He discusses the moral implications of almost every aspect of the war. I appreciated his views. In fact, this was most interesting to me because a week ago I'd finished Henry Kissinger's book Ending the Vietnam War in which he admits the immorality of abandoning South Vietnam to eventual defeat by the North while also deserting a cause in which we lost 58,000 lives. I thought it interesting that Hastings agrees with this assessment while also savaging Kissinger for his duplicitous role as a peace negotiator and National Security Advisor intent on getting America out of the war rather than bringing peace to South Vietnam. He tells us the story of a Marine who served in Vietnam and later became a general commanding troops in the 1st Gulf War who says the great lesson he carried home from Vietnam was "Tell the truth." Hastings does, I think. The only reason to read popular books about history for which there are plenty of academic studies around, is to learn something about how to tell an interesting story. Hastings is a well-known war writer and as expected, can spin a narrative that is mostly interesting and flows well. He gives fair warning about the focus being on military history, so at least I could expect the boring bits about battles. The author flaunts his conservative credential from the beginning by calling WWII allied coo The only reason to read popular books about history for which there are plenty of academic studies around, is to learn something about how to tell an interesting story. Hastings is a well-known war writer and as expected, can spin a narrative that is mostly interesting and flows well. He gives fair warning about the focus being on military history, so at least I could expect the boring bits about battles. The only women in the book are prostitutes without names, grieving US mothers, and one Vietnamese actress. There is very little on the impact of the war on everyday lives, beyond the already familiar narrative of destruction. A remarkable history of the conflict that redefined America and still divides us. Hastings has a keen eye and he presents a comprehensive unbiased view of the Vietnam debacle through the eyes of hundreds of participants, both pro and anti war. The writing can get a bit busy, the author moves at breakneck speed, but anyone interested in understanding the Vietnam experience look no further than this book. This is history, as good as it gets. I'm a massive Max Hastings fan (7 of his books read), but this one was a miss. instead of exciting battle descriptions, the history is far more concerned with what politicians (on both sides) did. if you are interested in military history, I recommend Hastings' WW2 tomes--superb, and tightly written. “For this reason I was born and have come into the world,” said Jesus, “to testify to the truth. Everyone who belongs to the truth listens to my voice.” “What is truth?” Pilate asked. Max Hasting’s huge book (895 pages in length) is one of the finest examples of the journalist’s art that I have ever read. Time and time again, as I was immersed in its pages, did I find it reminding me of Thucydides epic Greek tragedy, The History of The Peloponnesian War. As a person who was in his “For this reason I was born and have come into the world,” said Jesus, “to testify to the truth. Everyone who belongs to the truth listens to my voice.” “What is truth?” Pilate asked. As a person who was in his 20s during the 1960s, that pivotal period when the United States sank ever more deeply into the morass of a land war in Southeast Asia, that war changed vital aspects of this country forever: the use of deceit and pretense to mislead and manipulate public opinion, the creation of bitter divisions among the citizenry involving the most basic questions of patriotism and loyalty, the impotence of Congress in the face of an imperial presidency, and the sowing of the seeds of distrust of authority that are still coming to fruition. I was struck by how many times bloodshed might have been avoided if only. •	At the Versailles Peace Conference of 1919 marking the end of World War I, Ho Chi Minh was part of a delegation that sought a meeting with US President Woodrow Wilson in order to plead their case for independence from the French. Unfortunately, they were not even granted the courtesy of a hearing. •	Following the close of the even more devastating Second World War, when a grievously weakened France struggled to hold on to its far-flung colonial possessions, the United States could have refused to provide any aid to the French, given that it had long been the position of the deceased President Roosevelt that all colonies should be freed. But the threat of the spread of communism that the initiation of the Cold War seemed to represent caused his successors to decide to support their allies in all things in order to preserve the solidarity of the Western Alliance. •	After the costly battle of Dien Biem Phu in 1954, where the French defenders were first isolated, and then overwhelmed by Vietnamese communist forces – a location foolishly selected by the French as a place to make their “last stand” – the US could have accepted the results of the subsequent Geneva peace convention as an acceptable resolution. With the French ousted, there was to be a countrywide free election in 1956 in the temporary division of Vietnam between North and South to determine its future leadership. But the United States, shaken by the “loss” of China and part of Korea to the communists, and seeing a world-wide communist conspiracy behind every anti-colonial effort, decided to stand behind the refusal of South Vietnam’s leadership to participate in that election and, instead, began the support stream of political will and monetary and military supplies that was to become a flood by 1967. •	President John Kennedy, even though it was he who first sent “military advisors” into South Vietnam, openly doubted the wisdom of pursuing that struggle, and made it known to his closest aids that “after” he had won re-election in 1964 he was likely to begin winding down American participation there. Unfortunately, his assassination in November of 1963 ended that possibility. •	His successor, Lyndon Johnson, while continually sharing such doubts about the wisdom of staying in Vietnam, let alone the “likelihood” of anything approaching “victory” there, feared that simply leaving would be portrayed by his Republican opponents as evidence of his lacking sufficient “guts” in the fight against communism. Consequently, he succumbed to massively increasingly the commitment of American troops to that war and, predictably, found himself further painted into the political corner as casualties quickly mounted. •	Even as late as 1968, and many thousands of US youth had died, and hundreds of thousands of Vietnamese, there was still a chance to put an end to the slaughter. Johnson, forced to withdraw from an attempt to win the presidential election of 1968 because of rising resistance to the war, engaged in secret negotiations with the North regarding ending the war. However, his opponent Richard Nixon sought to undermine his efforts, fearing that had he been successful, his own attempt to win the presidency might have fallen short in the euphoria of gratitude that successful negotiations would have produced. So he secretly promised the North Vietnamese that if they held out until after the elections then he, Nixon, would grant them more favorable terms. This turned out to be a lie! As has happened over and over in the United States’ relations with peoples from Asia and the Middle East, so-called “American intelligence” has been woefully inadequate in understanding the motives and facts involved. Not only were there few who spoke Vietnamese, but their understanding of developments was seriously impeded by their conviction that the North was motivated entirely by a desire to “impose communism” everywhere and by their accompanying assumption that the North’s alleged “nationalism” was but a pretext. In marked contrast, the North’s understanding of American motives and tactics, as well as of the weaknesses of the South’s government, consistently gave them great advantage over their adversaries. Confusion also frequently led to mistakes which then, all too often, were defended through deception (in plain English, lies). The alleged “Gulf of Tonkin” incident is a prime example. The president told the American people that his decision to attack the North was in response to North Vietnamese aggression against US navy destroyers in the Gulf of Tonkin. The truth was much murkier. US destroyers were in the gulf, all right, but they were not just “gathering intelligence information.” Rather, they were actively supporting South Vietnamese troops looking for both Viet Cong and North Vietnamese forces. And while there was some activity by small torpedo boats of the North, it does not appear that any torpedoes were ever launched, let alone directed toward American warships. Nonetheless, confusing radio chatter convinced the captains of the destroyers that they were under attack, and that is the message that was initially communicated to Washington. Although something of the murkier truth soon emerge, that did not defer the top military – nor the president himself – from telling the American people that their ships had, in fact, been attacked. By the mid-60s, it was apparent to American leaders that the reputed civilian heads of the Saigon government did not enjoy significant support outside the capital, and that entire portions of rural areas openly sympathized with what they saw as liberation forces. Also like the ancient Greeks, hubris and the alleged “necessity” of “preserving honor” played a critical role in prolonging American involvement. As has been famously observed, despite first Kennedy, and then Johnson, having available as members of their cabinet and as advisors, some of the “best and brightest” of all citizens, misunderstandings, wishful thinking, and a wish to avoid seeming “weak” all played a role in creating a form of blindness that allowed the war to continually escalate. Massive troop numbers were first introduced in order to “win,” and then their mounting casualties cited as reasons why we “couldn’t just leave” and admit it was all a costly mistake. Thucydides would have understood intimately. The “Truth” of that War? Hastings sugar-coats none of this. Through countless interviews of former combatants on all sides, as well as surviving civilians, he paints a picture of confusion, viciousness, and an interwoven mix of noble hopes, national pride, and frozen ideology that chills one to the bone. He does not picture the North as being simply a representative of a good people just yearning to be free of colonialist but, rather, shows how the leadership was quite capable of being ruthless in imposing their will and achieving their aims. Nor does he refuse to acknowledge the many good people who fought on all sides for reasons they thought important, including survival. While the Americans often blundered, and many soldiers committed acts of cruelty and unchecked violence, others, loved the Vietnamese people and tried honorably to help them. If you want the muddled “truth” of the Vietnam war, I highly recommend this important, extremely well written, and admirably researched book. You will not finish with any “simple” understand. Rather, you are likely to close its pages with a renewed awareness of how sad we humans can be. When will we learn to put war behind us? Max Hastings has written another thoughtful and comprehensive piece of history, this time on the Vietnam war. He covers the period from France's re-entry to Indochina in 1945 until the final fall of South Vietnam in 1975, and rightly tries to shift the focus from America, seeing this primarily as a Vietnamese tragedy. Nevertheless, the US intervention in Vietnam is central to the narrative, and as he memorably concludes, "The 1975 fall of Saigon represented a humiliation for the planet's most po Max Hastings has written another thoughtful and comprehensive piece of history, this time on the Vietnam war. He covers the period from France's re-entry to Indochina in 1945 until the final fall of South Vietnam in 1975, and rightly tries to shift the focus from America, seeing this primarily as a Vietnamese tragedy. Nevertheless, the US intervention in Vietnam is central to the narrative, and as he memorably concludes, "The 1975 fall of Saigon represented a humiliation for the planet's most powerful nation: peasant revolutionaries had prevailed over American will, wealth and hardware. The silhouetted stairway up which on the evening of 29 April fugitives ascended to a helicopter, as if towards Calvary, secured a place among the symbolic images of that era. Vietnam exercised greater cultural influence upon its times than has any other conflict since 1945." - There was no credible, indigenous South Vietnamese government to benefit from any military success achieved by the US armed forces. - Consecutive US administrations sought to conduct an expensive foreign war for domestic reasons of domestic advantage. US military and political leadership in Vietnam came of age in the Second World War. Among other things, this experience seemed to indicate that overwhelming military might was irresistible. More specifically, they mistakenly concluded that military power could achieve political objectives in post-colonial states. Americas leaders tried to solve a social and political problem through an overwhelming application of military power. Hastings memorably compares this to using a flamethrower to weed a flower border. In reality however, the foremost challenge for the US "was not to win firefights, but instead to associate itself with a credible Vietnamese political and social order." Hastings is also correct when he identifies that "Possession of armed might can be corrupting: it feeds an itch among those exercising political authority to put it to practical use. Successive Washington administrations have been seduced by the readiness with which they can order a deployment, and see this promptly executed. It is much easier to commit armed forces, especially air power, in pursuit of an objective than to grapple the complexities of social and cultural engagement with an alien people." In addition to this, in the early 1960's there was a profound insensitivity about the negative impact of a Western military presence on a predominately rural and impoverished Asian society, and the cultural remoteness and alienation between Americans and Vietnamese. As Hastings comments, "In the twenty-first century, Western military commanders still fail to understand the folly of sending their soldiers to wage 'wars among the people' wearing sunglasses, helmets and body armour that give them the appearance of robots empowered to kill, impossible to love or even to recognise as fellow-human beings." While the North Vietnamese war effort depended on Soviet and Chinese money and weapons, these contributions were largely unseen. Conversely, those of America were fatally obvious: "Few Americans understood how grievously the conspicuousness of their own dominance crippled the war effort. Communist victory was attributable less to the military prowess of the NVA and Vietcong than to the fact that they were Vietnamese." In drawing these strands together, he helpfully quotes Robert Kennedy: "a military answer is the failure of counter-insurgency...Any effort that disregards the base of social reform, and becomes preoccupied with gadgets and techniques and force, is doomed to failure and should not be supported." This kind of sound wisdom, also expressed by others in the early 1960's, should have led policy makers to the conclusion that unless a political foundation existed in South Vietnam the military commitment was futile. Unfortunately, this didn't happen and the political weakness and instability of South Vietnam's rulers, as well as their remoteness from their own people, was to be a fatal weakness in the American military intervention. Hastings notes again that "force quite often sufficed to inflict tactical defeats on the communists. Yet...battlefield successes could contribute astonishingly little. Perhaps the foremost irony of the war, especially for those who perished, was that fighting was the least important part of it, as against the social and cultural contest between Hanoi and Saigon." No amount of battlefield success could overcome the fact that South Vietnam's government had no relationship with it's own people. The limitations of air power were also exposed, especially against a strong willed, ideologically focused foe, ruling over a population denied choices other than to endure. Combined with contemporary technology and the fact that North Vietnam was a relatively primitive society, the bombing campaign was doomed to fail just as much as was the conventional ground campaign. This also put the lie to the notion that Australia's military efforts in Vietnam were any more successful that the Americans; they were still captive to the limitations imposed by a lack of any credible local government. Due to the fundamental possibility of military victory ensuring success in Vietnam, Hastings is unwilling to attribute too much blame for failure to the American generals, while also recognising that none of them would be regarded as among the great captains of history. On the other hand, what they do bear accountability for is the shocking decline in the morale, discipline and effectiveness of US military forces in Vietnam, particularly the infantry. "The US Army was crumbling from within - a slow, inexorable, deadly process that attained a nadir in 1973. It was driven by three related and mutually reinforcing elements: drug abuse; racial strife, powerfully influenced by the US domestic Black Power movement; and a decline of discipline and will to fight. A US general said later: 'We went into Korea with a rotten army, and came out with a fine one; we went into Vietnam with a great army, and finished with a terrible one.'" This is undoubtedly true, and the damage done to US military ability and credibility took 20 years to repair. With regard to the conduct of US forces during the war Hastings comments that, "Soviet and Nazi precedent suggests that merciless occupiers can suppress resistance by force. In Vietnam, the US Army contrived to be sufficiently intrusive and racially contemptuous - and intermittently murderous - to earn the hostility of the populations; yet inadequately savage to deter many peasants from supporting the communists. Americans burned villages enough to incur the world's censure, yet too few to prevent local people from sheltering guerrillas." He follows this up with a devastating critique, "A just measure of any society is not whether its soldiers spasmodically commit atrocities, but whether these are judged institutionally acceptable....Excesses by US forces in Vietnam, while not universal, were sufficiently commonplace to show that many uniformed Americans considered Vietnamese inferior beings, their lives worth less." Self interest is generally a part of every government or nations decision to go to war, but nonetheless "the American commitment to was fatally flawed by its foundation not upon the interests of the Vietnamese people, but instead on the perceived requirements of US domestic and foreign policy, containment of China foremost among them. The decisions for escalation by successive administrations command the bewilderment of posterity, because key players recognised the inadequacy of the Saigon regime upon which they depended to provide an indigenous facade for an American edifice." It seems to me that this offers one of the main valid parallels with the war on terror and the interventions in Iraq and Afghanistan. It also seems that a war fought primarily fought for reasons of domestic self interest needs either to be brief, or to have a reasonable prospect of success. In Vietnam, neither of these criteria were met, and the subsequent difficulties run like a thread through the approach of successive White House administrations to the war. "Kennedy's Vietnam policy suffered from the same fundamental flaw as that of every other president between 1945 and 1975: it was rooted in the demands of US domestic politics, rather than in a realistic assessment of the interests and wishes of the Vietnamese people. Kennedy was a sufficiently intelligent and sensitive man - consider his earlier skepticism about Indochina - to recognise the unlikelihood of American military success there. However, in the climate of the Cold War, which was then very cold, the political costs of staying in South Vietnam appeared to the Kennedy White House lower than those of being seen to quit, fail, lose." This was repeated during Johnson's presidency. Hastings identifies Johnson's landslide victory in the 1964 presidential election as the last chance to withdraw from Vietnam in an orderly way, but at the time the administration identified domestic political success as an opportunity to escalate military efforts. Seeing the inability to South Vietnam to long resist without US military support, and seeing unification under a communist government as anathema, the only palatable option for Johnson and his administration was to escalate. Paradoxically, while the 1968 Tet Offensive was a catastrophic military failure for North Vietnam, the outcome was the "collapse of Lyndon Johnson's presidency, and of the American peoples will to win in Vietnam. Tet became a stunning manifestation of an important truth about modern wars: success or failure cannot be judged solely, or even principally, by military criteria. Perception is critical." This also sounds true as we reflect on more recent military interventions by Western powers. Again, "The inhumanity of Le Duan invites posterity's repugnance, yet Hanoi sustained a more effective war machine, with incomparably fewer material resources, than did Saigon. North Vietnam's leaders, recognising that the American people had lost patience, were prepared to endure further years of pain in anticipation of an ultimate victory that now seemed assured." While he cannot be blamed for inheriting a war that was already unwinnable, the use of Vietnam for domestic advantage reached a climax of cynical self interest with Nixon. He sought to wind up the American intervention in a manner that was as politically advantageous as possible, with the main requirement being for a decent interval between US withdrawal and the collapse of South Vietnam. "Nixon's crime, if there was a crime, in which Kissinger served as his instrument, was to sacrifice twenty-one thousand American lives and vastly more Vietnamese ones in the course of a series of military and diplomatic manoeuvres designed not to benefit the people of Indochina, Southerners or Northerners, but instead the president's domestic political interests." Even so, Hastings is unwilling to let the American people entirely off the hook and blame their leaders, "In some degree, the American electorate may be held complicit: even in the last war years, many voters still craved an outcome that did not make explicit the frustration of national will." In 2019 it seems incredible that "the American people and their legislature acquiesced with little remark in a vast military commitment to a faraway country, heedless of the fact that the rest of the world, including Britain, France, Japan, Canada - almost every developed democracy except Australia - thought US policy foolhardy in the extreme." Hastings pinpoints a tendency for patriotism to stifle debate, and a conservative trust in national leadership which would be largely eroded over the next 40 years (and not least by Richard Nixon). He also warns against seeing the war in Vietnam as somehow unique, or lying outside the scope of historical analysis: "All wars are different, and yet the same. A myth has grown up, in the US at least, that Vietnam inflicted unique horrors on its participants, attested in countless veterans' anguished gropings into poetry. Yet anyone who lived through Rome's Carthaginian struggles, the Thirty Years War in Europe, Napoleon's campaign in Russia or the 1916 Somme battles would mock the notion that Indochina offered qualitatively worse experiences." “Vietnam: an epic tragedy, 1945-75,” by Max Hastings (Harper, 2018). And tragedy it was. I have avoided reading about Vietnam partly because I lived through it at home, partly because it was such a disaster, partly because it was an American defeat. Hastings reinforces all of that, with his usual shrewd, often-biting assessments of the actors involved: Diem, Thieu, Westmoreland, Abrams, Ho, Giap, LBJ, Nixon, Kissinger, etc. His overall assessment is that there was almost nothing the Americans co “Vietnam: an epic tragedy, 1945-75,” by Max Hastings (Harper, 2018). And tragedy it was. I have avoided reading about Vietnam partly because I lived through it at home, partly because it was such a disaster, partly because it was an American defeat. Hastings reinforces all of that, with his usual shrewd, often-biting assessments of the actors involved: Diem, Thieu, Westmoreland, Abrams, Ho, Giap, LBJ, Nixon, Kissinger, etc. His overall assessment is that there was almost nothing the Americans could have done to prevent the Communists from taking over the country. As for the French, forget them: Not smart militarily, foolishly trying to recapture their colonial grandeur and wipe away the bitterness of WWII, essentially dependent on the Americans, who would go thus far and no farther. There seems to have been almost no chance that Ho would have become a democrat or turned to the West. He was a dedicated Communist from early days in France and Europe. The Communists won because, among other things, they never swerved from their goal, they were determined and sure of their ultimate victory, they were basically incorruptible, they were willing to accept huge casualties, make almost incredible sacrifices, and suffer brutal conditions. They were also, Hastings demonstrates over and over, completely ruthless, murderous, vengeful, and totalitarian from the beginning. They had no compunction about using terror on the way to victory. The south Vietnamese (a creation of the French war) were corrupt, venal, often incompetent. Most important, they did not know what they were, except that they did not want to succumb to the Communist north. Hastings documents everything, from the diplomatic details to the global conflict to the gritty, bloody, horrifying fighting itself. The Americans knew almost from the beginning that the war was unwinnable. Their soldiers and diplomats kept reporting to Washington that nothing but huge infusions of American soldiers could possibly defeat the northerners—and that it was a bad idea. But it was a tar baby---once we got involved, we couldn’t figure out how to let go. On the other side, neither the Russians nor the Chinese wanted to get involved. They were both afraid to provoke the Americans, and provided very little support to the north until they realized how it was hurting the US. Not to mention that the Soviets and the Chinese did not like nor trust one another. For the US, one must keep the context in mind: the Soviets had taken Eastern Europe and were trying hard to go further west; the Chinese Communists were triumphant; there had already been a bitter war in Korea; the domino concept was not absurd. JFK probably would not have left; LBJ wanted desperately to get out, but could not for political reasons; Nixon was a nasty piece of work, sabotaging peace talks before the 1968 election. He knew the US was going to have to withdraw---nobody from the Tet offensive onward believed the war was winnable---but would not be seen as a loser. (btw, Tet was a complete, bloody defeat for the Vietcong and NVA; they knew it, the American troops knew it, but the American public was horrified at what they saw on TV.) The conversations between Nixon and Kissinger about their diplomacy is as deeply cynical as imaginable. They lied to the South Vietnamese, to the Americans, to everyone. Once the Communists did win (though many units of the ARVN did fight gallantly), the victory actually went to North Vietnam. The Vietcong were pushed aside. Vietnam is still ruled by an almost anachronistic, post-Stalinist regime. Tragedy on tragedy. If you're like me, you have enjoyed Hasting's previous histories and this one reflects his traditional strengths: even-handed analysis, concise overviews of the strategic & tactical realities, and plenty of personal anecdotes from all sides to give a flavor of what the conflict was really like. In 'Vietnam', I especially appreciated Hasting's clear-eyed assessment of the failure of leadership on all sides that led to such an epic tragedy. If I have to offer a criticism, I'd say that Hasting' If you're like me, you have enjoyed Hasting's previous histories and this one reflects his traditional strengths: even-handed analysis, concise overviews of the strategic & tactical realities, and plenty of personal anecdotes from all sides to give a flavor of what the conflict was really like. In 'Vietnam', I especially appreciated Hasting's clear-eyed assessment of the failure of leadership on all sides that led to such an epic tragedy. If I have to offer a criticism, I'd say that Hasting's account is relatively America-centric despite his best efforts. This is a common flaw of Vietnam histories and there is still a good amount of focus on the realities for North & South Vietnamese people. As a fan of Max Hasting’s previous books on World War II, I was eager to read VIETNAM: AN EPIC TRAGEDY. Considering the controversy, misunderstanding and emotion triggered by any honest discussion of the Vietnam War, I found Hastings’ approach to the issue quite balanced and thorough … he lays it out for all to see. A year ago, Ken Burns released an epic documentary on the Vietnam War that I considered objective and fair, but my opinion was not universal. The war may have ended over forty years ago, but the emotional pain of it will likely remain until the last survivor of the conflict passes away. An honest analysis of the war (any war for that matter) cannot be one-sided as the tragic nature of war is usually shared by all parties involved. 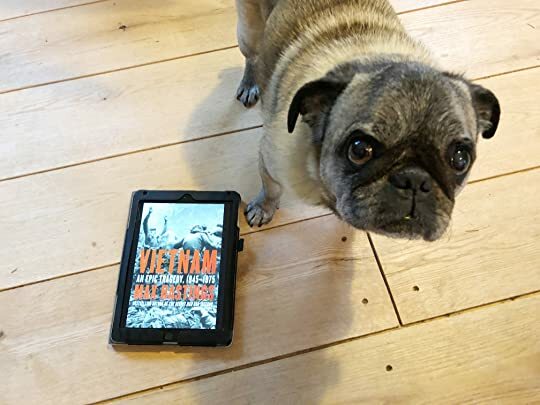 Hastings bravely dives into the quagmire of the Vietnam War and delivers a wonderfully detailed and balanced account of this tragic historical event … and yes, the blame for the tragedy is shared. What I like about Hasting’s approach to history is that he offers concise and wonderfully detailed analysis of events. I was really drawn to Hastings after reading ARMAGEDDON - The Battle for Germany and RETRIBUTION - The Battle for Japan; I found those two books to be two of best summaries of World War II I’ve ever read. At almost 900 pages, it is fair to say this book is as concise an account one could expect on the subject as complex as the Vietnam War … especially when one factors the time before and after US involvement (which are frequently and mistakenly ignored/forgotten aspects of the war). Unlike wars in the past (the World Wars and Korea), Vietnam had no definitive front line (with the exception that it was fought in South Vietnam) and the war’s progress cannot easily be explained with a map (until the war’s end, when South Vietnam is no longer on the map). The nebulous and organic nature of the conflict is a challenge the Hastings embraced. As I was reading, I frequently wondered how tedious the research must have been to cover so much of the minutia presented in this book, but the seemingly insignificant “small” things often prove to be what is needed to get a better understanding of how and why other events unfolded. 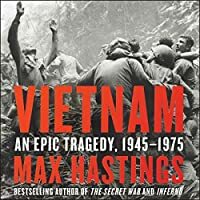 That Hastings managed to cover a detailed history of the Vietnam War (from the period ousting the French through the South Vietnam’s defeat) in 750 readable pages is somewhat miraculous. The sources for the book are what make it such a valuable read. Like Burns’ documentary, Hastings provides a well-rounded perspective of the war by including the experiences of all involved. These experiences add color and clarity to events. The contribution of former Vietcong, NVA and North Vietnamese provide a much-needed perspective of seeing the war from all sides. The book does not excuse American political and military ineptitude, nor does it tread lightly on the brutality of the communists … or the media’s narrow-minded approach to covering the war. The book never bogs down on one event and some of the most iconic/infamous parts of the war (by Western standards) tend to be glossed-over (My Lai, for example) … they are portrayed as contributing factors shaping a bigger story. Unlike the grand operations and big battles of the World Wars and Korea, the Vietnam War was a war of skirmishes big and small (usually with no strategically important outcome). While the Tet operation obviously comprises a prominent place in the book, we get a better understanding of the failed Tet operation being transformed into a political/propaganda victory by the media. Battle accounts are brief and informative to give readers an idea how the war was fought, not a detailed report of troop movements and engagements. Instead, we get a steady dose of what the combatants experienced (on all sides). Hastings opts to focus on only a handful of battles (Dai Do) that serve more as a template for the US approach to fighting. One aspect of the book I thoroughly appreciated is the account of what unfolded after the US leaves South Vietnam and doesn’t look back ... this is where the real tragedy of the conflict comes to light. While it may “seem” the Vietnam war ended following the US departure, the war raged-on for years and included some of its biggest battles. Most importantly, I found the book to be even-handed; it doesn’t shy away from drawing attention to the blundering on all sides of the conflict. The political maneuvering (lying) on all fronts is simply astounding. Oftentimes, the benefit of hindsight gives historians the opportunity to point out mistakes that could have possibly changed events (for the better), but Hastings does not go that route. Instead, he lets the readers absorb the opinions of those who experienced the conflict on all levels. In that regard, we get a more balanced and somewhat surprising array of viewpoints dictated by the varying experiences. I do not feel the book validates any one argument on the war but opts to justifiably point blame in all directions. Overall, I felt VIETNAM: AN EPIC TRAGEDY proved to be as insightful as I hoped it would be. Hastings does an excellent job of summarizing a vast and complex subject into an absorbing read. Additionally, I found the material in the book to be refreshingly new and insightful; I would be hard-pressed to not recommend this book for anyone wanting a better understanding of the Vietnam War in its entirety. It's going to take you some time to read, Max Hasting’s, Vietnam: An Epic Tragedy. Invest the time. Hastings' work is sweeping in its coverage — beginning with the war's French roots in 1945 and continuing until its end. His account is gripping. You will feel the war, it's realities and atrocities -- on both sides. I found the author fair in both his praise and criticism. His analysis is insightful. Vietnam: An Epic Tragedy is more than a history. It is an education, a cultur Simply spectacular. It's going to take you some time to read, Max Hasting’s, Vietnam: An Epic Tragedy. Invest the time. Hastings' work is sweeping in its coverage — beginning with the war's French roots in 1945 and continuing until its end. His account is gripping. You will feel the war, it's realities and atrocities -- on both sides. I found the author fair in both his praise and criticism. His analysis is insightful. Vietnam: An Epic Tragedy is more than a history. It is an education, a cultural and political critique and a laying bare of all that is good and bad about the human spirit in this war that claimed 58,000 American lives and many many more of the North and South Vietnamese. While not a soldier, Hastings is certainly fit to write about the war. He worked as a British reporter covering the war in 1967-68, encountering chief decision makers, including President Lyndon Johnson. Hastings is both an eye witness (he rode a chopper out of the US Embassy in Saigon in 1975 during the final evacuation) and careful chronicler, with more than 300 books, articles, and online sources in his "Select Bibliography" tied to 752 footnotes throughout his text. I picked up Vietnam: An Epic Tragedy, in part, because I want a working understanding of the conflict and because Lyndon Johnson (the President about whom I have read more than any other) plays such an ignominious role in it. Do yourself a favor and read Hasting's work with map in hand. Take the time to become familiar with his glossary he provides at the outset. Non-Vietnamese speakers will need help differentiating the various soldiers, generals, and political figures the author cites with the ease of "Smith" or "Brown." His account is fantastic! 1. Great writing: "Yet such a man might have riposted to this scornful spook that he was hard because only hard men could do the business in that hard place. Everything about the war was hard--vehicles, guns, shells, planes, body armor, bullets, C-ration cans, Conexes, the will of the enemy--everything except human flesh and most of the ground underfoot." (p. 270). 2. Frank critique of both friends and foe: This on LBJ: "In 1964-1965, the highest stakes appeared to be relatively small sums of money, together with the egos of the president and those around him, which they so deftly enfolded in the flag that personal reputations seemed, in that season, inseparable from the nation's global prestige." (p. 229). 3. A human face on an inhumane moment in history: Hastings intersperses the individual stories of patriots and deserters, competent and incompetent generals, soldiers who made it and those who did not, POWs, citizens, idyllic American students of the 60's and 70's who praised Ho and the communists while ignoring the atrocities they committed, and hardened soldiers who stopped differentiating between innocent civilians and the enemy. He gets up close to helicopter pilots risking all, infantry enduring all, and B52 pilots -- in constant danger of being shot down -- living on the emotional edge, but also the terror and acceptance of those living under constant bombing barrage. John Ramsey, John Paul Vann, Robert McNamara, General Giap, and so many others are people I needed to meet -- and did -- through the pages of this book. 4. "The Audit Of War": Hastings afterward is worth the price of the book as is most every chapter he wrote. Hastings chronicles dollars spent, lives squandered, heroism displayed, time wasted, ideologies gained and lost, the absolute devastation wrought by US bombing campaigns, and still a sad exit and a sorry fate for those left in South Vietnam. 5. Perspective: As he does throughout his book, Hastings intersperses his commentary with that of others, both in the South and the North. This is one of the rich features of his work. One such voice is that of Soldier David Rogers who recalled the judgmentalism of one who did not fight, his own guilt in the killing, his intense loss over members of his own platoon who didn't make it back, the sights of choppers over the tree lines, and of the people who ran the war: "They knew what was happening. We didn't. I did the pace count and that was it." Sgt. Maj. Jimmie Spencer says, "People are reevaluating. At least now we can separate the war from the warriors. They were blamed for something they didn't start." (Page 747). The Vietnam War has always fascinated and will continue to do so. Ken Burns’ fantastic 10-part documentary has exposed a new generation to what Hastings calls, “an epic tragedy” where “peasant revolutionaries had p This is a heck of an effort from Mr. Hastings. I have previously read Armageddon, Overlord, The Battle for the Falklands, All Hell Let Loose, The Secret War and Nemesis. He and Atkinson, Beevor and Evans have produced fantastic work on the military and war, specifically, World War Two. I was so frustrated and disappointed by this book. The sleeve notes go on about how most books focus on the war from an American point of view and that this one concentrates on the tragedy from the Vietnamese side of things. Great idea, and after watching the excellent series of films by Ken Burns and Lynn Novick I was expecting that this would deepen my knowledge and understanding of the war. Except it doesn’t: the vast majority of the book is told from the American perspective…a small amount fr I was so frustrated and disappointed by this book. The sleeve notes go on about how most books focus on the war from an American point of view and that this one concentrates on the tragedy from the Vietnamese side of things. Great idea, and after watching the excellent series of films by Ken Burns and Lynn Novick I was expecting that this would deepen my knowledge and understanding of the war. Except it doesn’t: the vast majority of the book is told from the American perspective…a small amount from the South Vietnamese point of view and an even smaller amount from the North pov. Hastings does present a lot of material and a lot of detail. There are numerous anecdotes from participants and reports and transcripts of the American political convolutions over the war. But at the same time he obviously has prejudices and an agenda to get across – anti-communist, pro-US forces, anti-press etc. The result is conclusions and statements that don’t follow the material he presents; “common sense” statements such as “no reasonable person would believe…” without any evidence to back them up; selective use of evidence (e.g. the use of Agent Orange where he briefly mentions several reports over the long-term harmful effects, but only gives prominence to an Australian report that concludes it is fine); inconsistent treatment of similar incidents. Hastings also fails to give any real understanding or nuance of key players and parties – Le Duan (leader of the N Vietnamese) was cruel and heartless, as were the Communists in general. But without any analysis – did they really not care about their people they sent into battle? How much of their strategies were to play to world media? How did they continue to field such motivated troops? The South Vietnamese government is simply portrayed as corrupt and out of touch, their forces as ineffectual and untrustworthy. Hastings attempts at adding colour to his prose sometimes feels forced and he does love a cliché. He did have some good bits on the Australian involvement in the conflict but I was waiting for him to use “Fair Dinkum” and for soldiers to start comparing sizes of knives. In his short chapter dealing with Vietnam after the war he continues to berate the Communist party highlighting the disastrous Soviet style centralisation of farming and production, but not analysing the costs of rebuilding the country after the war, the millions of hectares of land wrecked by agent Orange and bombs, the $3.5bn not paid by the US government that was part of the Paris peace agreement and the effects of the US trade embargo. In fact Hastings states that Vietnam is still a closed, Communist country ruled by despotic, old men and that visitors to the country who think differently are wrong and blind to the real poverty in the country. It takes little research to see that poverty levels in Vietnam today have fallen dramatically and having visited a few times myself it has obviously embraced a market economy with both local and international businesses operating widely and freely. I am not saying it is the most free country on earth, but it is certainly not the grey, communist state Hastings will have you believe. This is a large, semi-academic but flawed piece of work. There are some good bits in there, but if you want an insight and understanding of the Vietnam war you would be better off with a Netflix subscription to watch the Burns/ Novick series. Muhammad Ali once said, “I ain’t got no quarrel with them Viet Congs.” He paid a price for telling the truth. A few others back then also told the truth about Viet Nam and paid a price. Updating the truth about the war is what Max Hastings seeks to do in Vietnam: An Epic Tragedy, 1945-1975. With his book weighing in at 752 pages of text, Hastings gives a thorough account of the Vietnam war. Sometimes, I thought the book--like the war--would never end. But there’s a good reason for that: there’s a Muhammad Ali once said, “I ain’t got no quarrel with them Viet Congs.” He paid a price for telling the truth. A few others back then also told the truth about Viet Nam and paid a price. Updating the truth about the war is what Max Hastings seeks to do in Vietnam: An Epic Tragedy, 1945-1975. Hastings also weighs-in on larger issues: Who lost the war? When was the war lost? Was losing the war inevitable? Who really won? What role did the U.S. presidential elections--and the press--play in the war’s outcome? And so on. . . But Hastings also wants to take a moral accounting of the war, both of individuals and the countries involved. Who had the courage to admit or tell the truth? (mostly soldiers and some press). Who lied to themselves and others? (mostly politicians and war planners) Who hid the truth? (North Vietnam’s leaders). And who hid from the truth? (South Vietnam’s leaders and a large number of its people). My draft number was 97. The war ended (for America) before I could be called up. (I probably would have gotten a college deferment.) I went to a few anti-war rallies in my hometown. And I had some interesting conversations with Vietnam vets about things like fragging and bombing missions in the North. Personally, I was glad to have escaped the whole thing. But this book makes me realize that almost everyone back then--hawks and doves, political and military leaders and citizens, North Vietnamese and South Vietnamese--bears some level of responsibility for what happened “over there.” I came away from reading this book feeling like I was covered in gore and guilt. Hastings would call that a good place to begin. But what about Iraq and Afghanistan? Has our country learned nothing? This epic book will help you answer these and other questions. Although I was familiar with the history of the Vietnamese struggle for independence from France and the gradually escalating series of blunders and disasters that eventually turned into the Vietnam War, this book painted such a vivid picture of it that it was often hard to read. The most sobering part of the book, for me, was how Hastings captured the political calculus that went into decisions about the war. At every stage, political expedience for presidents (of both parties, over decades) won Although I was familiar with the history of the Vietnamese struggle for independence from France and the gradually escalating series of blunders and disasters that eventually turned into the Vietnam War, this book painted such a vivid picture of it that it was often hard to read. The most sobering part of the book, for me, was how Hastings captured the political calculus that went into decisions about the war. At every stage, political expedience for presidents (of both parties, over decades) won out over the interests of the people of Vietnam, which were treated as incidental at best. How will this bombing campaign look before the midterms? Do I need to project strength to voters? Or do I try to sell them the bill of goods that this is a "smart," "limited" strike calibrated to avoid a "real war"? All the while, Hastings argues, there was seemingly no strategy for laying the social/political groundwork for an actual, meaningful victory against North Vietnam or the Vietcong. Faith in conventional military supremacy crowded out other relevant strategic considerations. There was no stepping back in order to give the South Vietnamese government even a patina of legitimacy. What chance did it have of counteracting the claim that it was a puppet? How could it persuade everyday people that it, and not the North, represented Vietnamese independence? The book is even-handed about the horrors of the war. Hastings concludes that both sides committed horrors, but that the United States and South Vietnam's were amplified by the relative openness and press freedom in the South while the North tightly controlled the flow of information. That strikes me as reasonable. But whether or not they received disproportionate emphasis, the horrors committed by the United States and South Vietnam are gut-wrenching. And, Hastings emphasizes, there was virtually no accountability (one person--one person!--served three and a half years of house arrest for My Lai). That reflects on the institutions and leadership of the military and of the United States in general. Hastings also writes pretty brutally about the infinitely elastic supply of yes-men willing to provide intellectual cover for the many catastrophic blunders that led to, and worsened, the war. I am thinking in particular of the description of Leon Goure at RAND, who enjoyed being feted by well-connected military and political officials in exchange for telling flattering, ludicrous lies about the benefits of bombing. What good were our institutions if they led to this? What good were our experts if they led to this? Sir Max Hugh Macdonald Hastings, FRSL, FRHistS is a British journalist, editor, historian and author. His parents were Macdonald Hastings, a journalist and war correspondent, and Anne Scott-James, sometime editor of Harper's Bazaar. Hastings was educated at Charterhouse School and University College, Oxford, which he left after a year.After leaving Oxford University, Max Hastings became a foreign c Sir Max Hugh Macdonald Hastings, FRSL, FRHistS is a British journalist, editor, historian and author. His parents were Macdonald Hastings, a journalist and war correspondent, and Anne Scott-James, sometime editor of Harper's Bazaar. Hastings was educated at Charterhouse School and University College, Oxford, which he left after a year.After leaving Oxford University, Max Hastings became a foreign correspondent, and reported from more than sixty countries and eleven wars for BBC TV and the London Evening Standard. Among his bestselling books Bomber Command won the Somerset Maugham Prize, and both Overlord and The Battle for the Falklands won the Yorkshire Post Book of the Year Prize. After ten years as editor and then editor-in-chief of The Daily Telegraph, he became editor of the Evening Standard in 1996. He has won many awards for his journalism, including Journalist of The Year and What the Papers Say Reporter of the Year for his work in the South Atlantic in 1982, and Editor of the Year in 1988. He stood down as editor of the Evening Standard in 2001 and was knighted in 2002. His monumental work of military history, Armageddon: The Battle for Germany 1944-1945 was published in 2005. He is also a Fellow of the Royal Society of Literature. Sir Max Hastings honoured with the $100,000 2012 Pritzker Military Library Literature Award for Lifetime Achievement in Military Writing.